The gunsmithing program at Lassen Community College is the oldest program of its kind in the United States. Since 1945, the training has helped residents and students from around the country learn the ins and outs of the gunsmithing trade and preparing for professional positions. The school is fully accredited, and the school is a recognizable and reputable name in the gunsmithing industry for producing knowledgeable, skilled professionals. 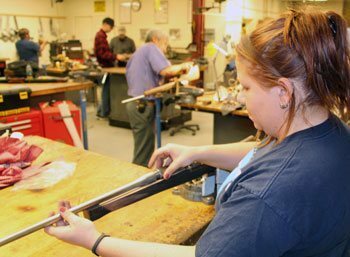 In addition to an associate in science degree in firearms repair and an associate in science degree in general gunsmithing, students at Lassen Community College can also earn certificates of completion for long guns, gunsmith machinist, metal finishing, riflesmith, and pistolsmith. The curriculum includes coursework in machining, welding, optical sight installation, action blueprinting, blowback principles, and firearms laws and regulations. The varied types of courses ensures that students complete a well-rounded education, preparing for any number of careers after graduation. Speaking of optical sights… check out our buyers guide and a list of our top rifle scope recommendations. Trinidad State Junior College was founded in 1925, and it was Colorado’s first community college. The gunsmith course at the college were offered in 1947, and since that time students from all over the United States have been attending one of the top rated gunsmithing schools in the country. For students who are legally allowed to own firearms, the classes at Trinidad State Junior College offers basic and advanced coursework to begin to prepare for a professional gunsmithing career. Trinidad State Junior College offers an associate in applied science degree in gunsmithing. Routinely, the curriculum at the college is revised in order to best help prepare students for the skills current professionals in the industry have identified as key to being successful. Students complete courses that include topics in gunsmithing tools, firearms customization, machine tools for gunsmithing, repairing firearms, and stockmaking. According to the college, as of 2011, 80 percent of graduates of the program are employed as gunsmiths after graduation. Since 1965, Yavapai College has worked to provide quality education to the Prescott, Arizona, and surrounding area communities. Yavapai College has one of the best programs for gunsmithing in the United States, consistently ranked in the top three by various organizations. There is a special admissions process, and the training is in high demand for students from all around the United States. Yavapai College offers an associate of applied science in gunsmithing, focusing a large part of the gunsmithing classes on learning the nuances of operating machine tools to help students learn various techniques and processes for working with shotguns, handguns, rifles, stocks, and custom firearms. To earn the associate’s degree, students complete a diverse course set, including composition and communications, critical thinking, science, and social science classes. In the gunsmithing major coursework, students complete apprentice, journeyman, professional, and master level courses. The Colorado School of Trades is located in Lakewood, Colorado, just miles from Denver. One of the benefits of attending this gunsmith school is that its programs are accredited by the Accrediting Commission of Career Schools and Colleges, helping to ensure that degrees and coursework are recognized by other institutions as well as employers. An additional benefit is the school’s gunsmithing shop, which is the largest in the United States. Much of the curriculum of the gunsmithing program involves the actual repairing of firearms that have been brought in by customers. Students enrolled at the Colorado School of Trades complete an associate of occupational studies degree in gunsmithing. The training includes work in a basic course, and graduates complete a number of courses in various topics such as safety, equipment purpose, mathematics, and tool utilization. Next, students will complete the machine course and then the stockmaking course. Finally, students enroll in the design and function course. Students also have options to add CNC machining and TIG welding specialization courses to gain additional marketable skills. With the completion of these hands-on classes and the required specialization project, graduates have the knowledge, skills, and samples needed to begin an entry-level position in gunsmithing. Founded in 1965, Pine Technical College is located in Pine City, Minnesota. The college is accredited by the Higher Learning Commission of the North Central Association of Colleges and Schools. To be accepted into the program at Pine Technical College, students are required to submit to a criminal background check and have or be prepared to obtain a comprehensive set of gunsmithing tools. At Pine Technical College, students can choose to pursue a few different options to prepare for a career as a gunsmith. The Firearms Technician Skills Certificate, which requires completion of 16 credits. The schools curriculum includes courses in business, computer applications, computer-aided design, regulations, design and function of firearms, welding, and measuring tools. 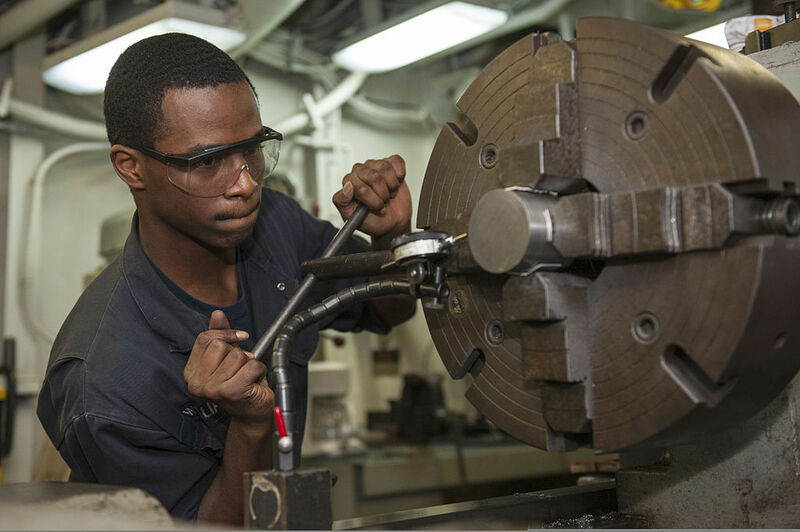 The Gunsmithing and Firearms Technician Journeymen Diploma requires the completion of 36 credits. Courses in this program include stockmaking, computer aided manufacturing, machining, and gunsmithing of metal, rifles, and shotguns. Pine Technical College also offers a Gunsmithing and Firearms Technician Apprentice Certificate which adds on 16 additional credits to the Firearms Technician Skills Certificate. Students complete additional courses in composition, accessories installation, and design, function, and repair of handguns. The program is designed to give students the experience and skills needed to enter into an apprenticeship after completing the advanced certificate. Other colleges and technical schools also offer programs that are designed to prepare future gunsmiths for apprenticeships. Another option for finding an apprenticeship is to approach an experienced and licensed gunsmith. In most cases, having some experience, education, or relevant knowledge in areas such as machining is recommended in order to begin a career in gunsmithing as an apprentice. Future professionals in this field can also consider finding training programs through organizations such as the National Rifle Association. When learning how to become a gunsmith education is the ideal way to get started. Build a strong foundation of skills and knowledge before beginning a formal gunsmith training and education program. A student who is planning to be a gunsmith should work to develop expertise with the guns he has. He should strive to be an expert in gun laws and safe gun use protocols and habits. Study Algebra, technical math, chemistry and physics. Take a variety of woodworking, metal working and machine shop classes to develop the wide range of these skills that gunsmiths use frequently. Learning about small engine repair and auto mechanics can provide valuable experience in how small parts function, both independently and as a group, and how mechanical systems operate. These types of classes can be taken at community colleges and are sometimes offered by local community centers and social organizations. With this knowledge base, the student is ready to learn how to be a gunsmith and pursue a training course or educational program. There are a number of options to choose from today, including online study, certification programs, trade and technical school programs, and the standard college degree program. While in many industries and occupations, online instruction is just as effective, sometimes even more so, as learning in a traditional classroom setting, when it comes to gunsmithing, an online course can be great for the do it your-selfer. While it may provide a flexible schedule, in my opinion nothing beats the hands on teacher to student training for this type of career. Having said that, there are plenty of excellent online programs that you may find adequate for your needs and online courses have many advantages. Choose a school or program not by how fast the institution promises a gunsmith degree or certificate, but rather by the depth and quality of the learning. After completing a formal gunsmith study program from one of the accredited gunsmith schools , the urge to jump right into business and start earning some money can be tempting. However, the better course of action is to continue the education process by seeking out an apprenticeship opportunity under a master gunsmith. The pay will be low, but it isn’t about money. It is about receiving instruction from a reputable master gunsmith and having the opportunity for hands-on learning with accomplished, established experts. There are some things that are simply best learned through watching an expert and by doing. The gunsmith apprenticeship period is also prime time for networking. Use the opportunity of meeting and spending time with people in the gunsmith business to establish and build relationships. 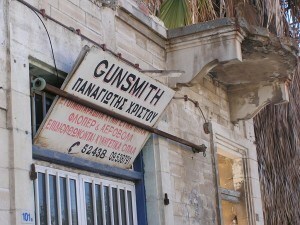 These gunsmith industry contacts can be valuable sources of information and employment throughout a gunsmith’s career. With careful attention to networking and a little bit of luck, many apprentices succeed in securing solid employment offers during their apprenticeship, so they can start working in the field right after their apprenticeship program is completed. In simple terms, gunsmiths are professionally licensed by the Bureau of Alcohol, Tobacco, Firearms and Explosives (ATF) and make a career out of constructing, maintaining and repairing guns. Engraving and embellishment work also fall into the category of gunsmithing. 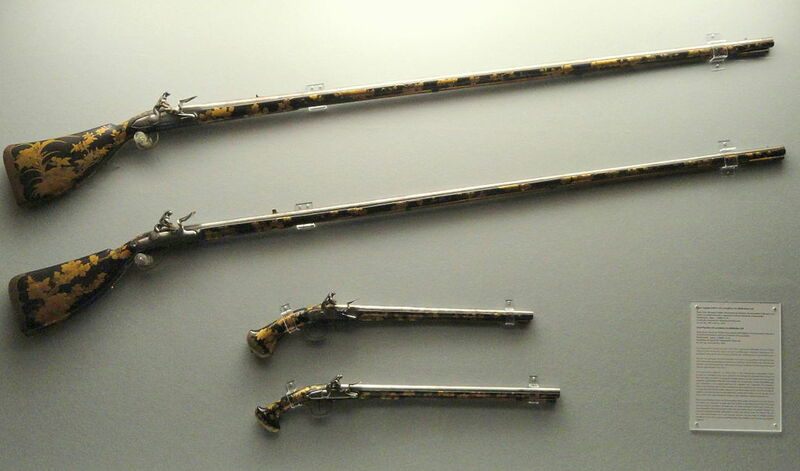 The technical and mechanical tasks involved in working with guns are many, requiring a deep pool of knowledge and a broad range of skills, supporting an expertise encompassing everything about a gun, from chemical processes and tasks involved in creating the gun’s finish, to the manufacture and function of even its tiniest inner working parts. A master gunsmith’s expertise doesn’t stop with the mechanics of the gun, but also includes a true understanding of the physics of its function and the science of its impact. Naturally, individual gunsmiths often choose to specialize, perhaps focusing their talents on the repair and restoration of antique weapons, the building of custom designed guns, or meeting the repair and maintenance needs of their local gun owners. Skilled and licensed gunsmiths enjoy a wide array of career options. Since there is an established demand for gunsmith services throughout the nation, they aren’t limited to a specific geographic region as those in some industries are. A talented gunsmith can take his or her skill-set just about anywhere in the nation and find work. This is a profession that demands a broad range of skills and an extensive body of knowledge. That is why so many gunsmiths choose to specialize in a particular niche within the occupation. They focus on mastering the skills and knowledge related to that niche. As they acquire additional skills through the years, they may expand on their specialized skillset. A master gunsmith develops his expertise over the long-term. It takes years upon years of sustained effort. Intellectual curiosity, mechanical aptitude, perseverance, patience and attention to detail are all essential to achieving success as a gunsmith, as is an in-depth knowledge of gun safety, gun laws and an understanding of how guns work. Basic engineering and drawing skills, machine shop familiarity and hand tool experience are also useful. For those planning to enter a gunsmith training program with the goal of starting a small business, accounting skills and small business basics are sure to be helpful. If you are interested in starting a small business be sure to read up on the licensing. Managing paperwork is important not just for business, but also in dealing with the ATF, making organizational skills a necessity. Opening their own businesses offering gun maintenance and repair services. Working at a company providing warranty-related repairs. Producing guns at a small gun factory. Maintaining and repairing guns for law enforcement agencies. Becoming a teacher at a gunsmith school. However, for the more adventurous gunsmithing soul, there are also plenty of exiting career opportunities. A talented gunsmith with nerves of steel could travel the world with private Blackwater-type armies, providing gun repair and maintenance in all sorts of situations and settings. 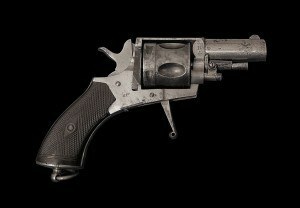 Gifted gunsmiths may work at museums, restoring, repairing and maintaining rare and antique guns. Some companies providing safari and hunting tours and adventures keep a gunsmith on staff to keep all firearms at their best. Working with gun makers in research and development, gunsmiths can use their design and fabrication skills to bring concept guns from paper to actual testing on the firing range. The gunsmith career possibilities are almost endless. The basic gunsmith job description – fabricating, maintaining, repairing and embellishing guns – doesn’t begin to do justice to the full range of possibilities and potentials a talented, skilled gunsmith has before him. Naturally, amongst those possibilities would be the usual sorts of job descriptions, including a gunsmith working in a firearms factory, or the tasks performed by a gunsmith working at a sporting goods retailer. However, there’s also the potential for far more exciting jobs, such as maintaining, repairing and even fabricating replica firearms on site at historical reenactments of the Revolutionary and Civil Wars. A nuts and bolts, blow by blow, gunsmith job description could contain any combination of the innumerable tasks involved with gun making, maintaining and repairing. Common tasks include inspecting guns carefully to make sure that all parts are working correctly and safely, cleaning and lubricating, restoring dents and dings, replacing worn parts. Fabricating parts to make repairs with, diagnosing gun malfunctions and implementing solutions and customizing guns with after-market add-ons also appear frequently in gunsmith job descriptions. Revolver in need of repair. Remove any corrosion due to improper storage. Refinish and/or repair wooden stocks. Repairing dented barrels and re-crowning muzzles. Troubleshoot and repair firing, feeding & ejecting issues. Fabricate wooden stocks and fit to the existing receiver and barrel. Change caliber of an existing rifle. Design and build complete rifles. How much does a gunsmith make? The salary for a gunsmith in the U.S.A is $36,000 per year which is $3,000 per month, $692 per week, or $17.30 an hour. Becoming a licensed gunsmith is a lengthy procedure, involving a multi-step application process that, upon approval, permits you build, sell, and perform repairs on small firearms. Those who wish to work with firearms in the United States must obtain, fill out, and submit a Federal Firearms License application from the U. S. Bureau of Alcohol, Tobacco, Firearms, and Explosives (ATF). There are separate licensing procedures for manufacturing licenses and dealer licenses. The full completion and submission of an application form. This form will include your personal information, immigration status, criminal history, and military service history. Payment of an application fee. The amount is dependent upon your licensure type. A background check with the U.S. Bureau of Alcohol, Tobacco, Firearms, and Explosives. You may have issues if you have something on your record in which case this might not be the best career for you. Provision of fingerprints for your background check. Provision of transaction records and permission for the U.S. Bureau of Alcohol, Tobacco, Firearms, and Explosives to inspect your business. Additionally, you may be required to abide by additional local, state, and federal laws that are not mentioned above, and the Internal Revenue Service and U.S. Bureau of Alcohol, Tobacco, Firearms, and Explosives will conduct additional checks. Since there may be other licenses that you will need to obtain based upon local and state regulations, it is good practice to be in contact with the department that regulates gunsmith licenses in your area. This way, you will be able to avoid any filing or application mistakes, and will be informed about the turn-around time for license processing and approval. Finally, it is important to remember that the regulations surrounding other aspects of gunsmithing vary by local and state. 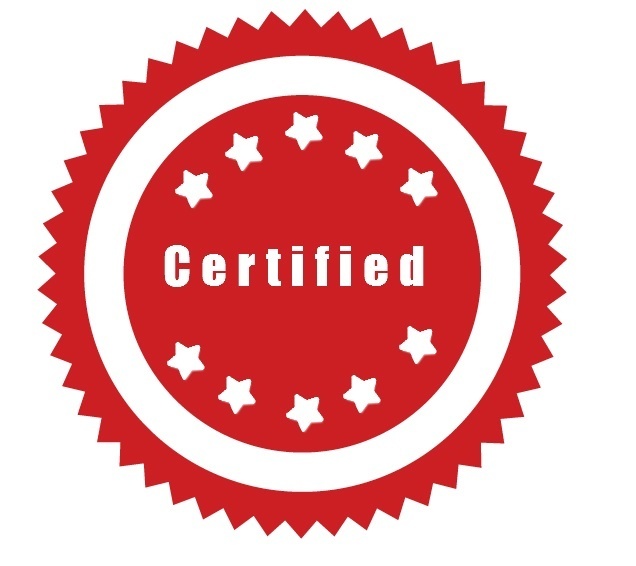 Activities such as record keeping within the gunsmithing industry, transportation of firearms, and participation within gun shows and other events may require additional certification and licensure. The first step in achieving the training and certification necessary to operate as a Gunsmith is to research what programs are available for you to complete in your area or through online coursework. If you are looking for a self-paced training course, there are online or at-home coursework that can support an independent learner, before completion of any final in-person testing that may be required. Others learners might look for a learning environment that is structured and guided by an in-person professor. Gunsmithing certification courses might be offered through a local technical school or educational institution near you. You should expect for your coursework to take anywhere between six months and two years to complete. This time frame excludes any prerequisite courses that you may need, which will teach you about the basics of woodworking, metalworking, and basic machinery skills. 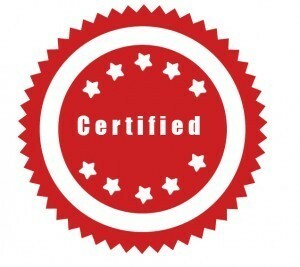 Upon the completion of your gunsmith certification training, it will be necessary to undergo an examination to provide proof of your skills and knowledge of the necessary rules and regulations of the gunsmithing profession. The certification test level that you will need to pass depends upon your preferred career path after certification and licensure. These various tests can be completed through a combination of experience, gunsmithing training, apprenticeship, formalized study and testing within a course, and military experience and background. To find out what examination level is right for your preferred career path, and what steps might be required to pass these testing levels, consult with the local agencies in which you apply for your licensure. Online gunsmithing schools are a flexible and affordable way to learn the basics of the gunsmithing profession. When combined with an apprenticeship, an accreditation or a certificate earned at a well reputed online training school for gunsmiths will go a long way towards helping you secure a decent paying job in the field. Gunsmithing is a trade which involves elements of metalworking and expertise in the inner mechanics of firearms. Online gunsmithing schools are an excellent way to gain knowledge and insight into firearms and their working, but lack the means to provide hands-on training to impart technical skills. Remember, if you’re planning to get into an online gunsmithing training program, it is always a good idea to supplement your online education with a local school which teaches the technical stuff such as machining, metal finishing and welding. Here’s a selection of online gunsmithing schools based in the United States which are worth considering. When a person makes the transition from gunsmithing student to capable, credentialed gunsmith, that is quite an achievement. The amount of learning and knowledge that successful transition represents is impressive. It demonstrates a willingness to work hard to achieve important goals and is something to be proud of. In the same way it takes time to build that collection of skill and knowledge, it takes time for a new enterprise, whether it be a business or a career, to grow and flourish. With work, however, it will show just how rewarding a gunsmith career can be. If you thought this was an informative article on gunsmithing schools and careers, please share it. Looking for the same in New Jersey, Pennsylvania area. I am looking for a brick and mortar school or at least a course in the New Jersey area with no luck. Any direction or recommendations would be GREATLY appreciated !!! I’m from Philippines how to undergo formal training in gunsmith?